The K2 Medium undersuit provides considerable thermal protection, making it ideal middleground for most drysuit diving - it’s neither too hot, nor too cold. Warm and ultra stretchy, the K2 is compatible with both trilaminate and neoprene drysuits. The K2 Medium undersuit provides considerable thermal protection, making it ideal middleground for most drysuit diving - it’s neither too hot, nor too cold. Warm and ultra stretchy, the K2 medium is compatible and comfortable with both trilaminate and neoprene drysuits. The K2 can also be worn under a wetsuit. Super Comfortable - Highly stretchy, the K2 medium fits snuggly for maximum comfort during long dives. Suitable for any drysuit - The K2 medium is suitable for both neoprene and trilaminate drysuits. Side and Chest Pockets - Side and chest pockets provide space to store important belongings. Elastic Wrist Loops - Wrist loops ensure the K2 stays in place throughout your dive. Heel Straps - Straps at the heel prevent the undersuit pants from riding up your leg during your dive. Who is the Scubapro K2 Medium For? 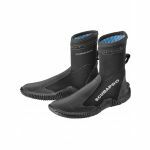 The Scubapro K2 Medium is suitable for drysuit divers who tackle harsh conditions, while not requiring the extra thermal protection of the extreme model. 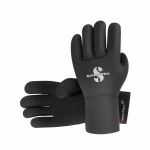 Scubapro have been producing diving equipment for over 50 years. The have a fantastic reputation of high quality diving equipment. They pride themselves in testing equipment beyond the required guidelines, so you can rely on the quality of their equipment. Their products have been designed and built to a very high standard so they perform perfectly in water, this is what makes Scubapro equipment one the finest qualities available. This size charts is to be used as a guide only. if you are between sizes, we recommend you go to the next larger size. Wetsuits might fit differently between models depending on types and thickness of material from which the suit is made.